On January 9, the City of Manila will be busy again for their annual celebration of "Feast of the Black Nazarene" also known as "Pista ng Quiapo." It's held every 9th of January in Quaipo Church. Million of devotees and pilgrims flock in the church and join the procession of the Black Nazarene to commemorate the Translacion." 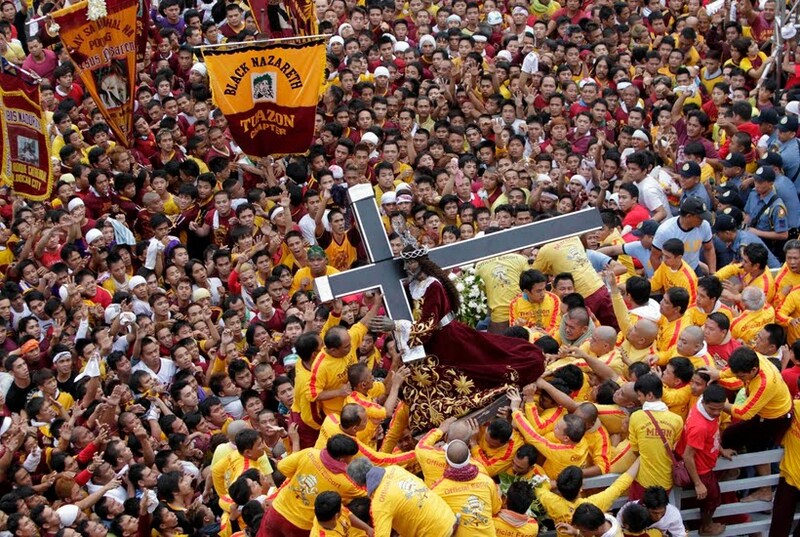 6AM- Liturgy of the Procession at Quirino Grandstand followed by procession of the Black Nazarene to Quiapo. Official procession route is not yet announced. This post will be updated once the organizers release the procession route of the Feast of the Black Nazarene 2016.